> side works just fine. > if it’s not the problem. > activate the window to make sure the switch is the problem? > knew it was the switch, this time the window will not open at all. Assuming sedan with V6 due to lack of info. > > side works just fine. > > if it’s not the problem. > > activate the window to make sure the switch is the problem? > > knew it was the switch, this time the window will not open at all. > Assuming sedan with V6 due to lack of info. the configuration could be different. > to raise the window. > > > side works just fine. > > > if it’s not the problem. > > > activate the window to make sure the switch is the problem? > > > knew it was the switch, this time the window will not open at all. > > Assuming sedan with V6 due to lack of info. > the configuration could be different. …that explains what engine you have. Well, thanks then, I guess. obviously the electric window configuration is different. > obviously the electric window configuration is different. yes, I missed the two door part in the message header. operate the exact same way. have one for the window connectors. > > obviously the electric window configuration is different. > yes, I missed the two door part in the message header. > operate the exact same way. > have one for the window connectors. > should give some idea. brown wire (G) at that connector. > > should give some idea. > brown wire (G) at that connector. The gray wire is the one in between the two blue ones. motor runs in one direction. motor runs in the other direction. which is connected to ground. The brown wire is 12 volts positive. The black wire is ground. between the black and gray, the motor will run in one direction. between black and blue, the motor will run in the other direction. > The gray wire is the one in between the two blue ones. > motor runs in one direction. > motor runs in the other direction. > which is connected to ground. > The brown wire is 12 volts positive. > The black wire is ground. > between the black and gray, the motor will run in one direction. > between black and blue, the motor will run in the other direction. > > The gray wire is the one in between the two blue ones. What "back of the box?" were for diagnosing the switch. Am I wrong? > > > The gray wire is the one in between the two blue ones. > What "back of the box?" > wires as earlier stated. > were for diagnosing the switch. Am I wrong? 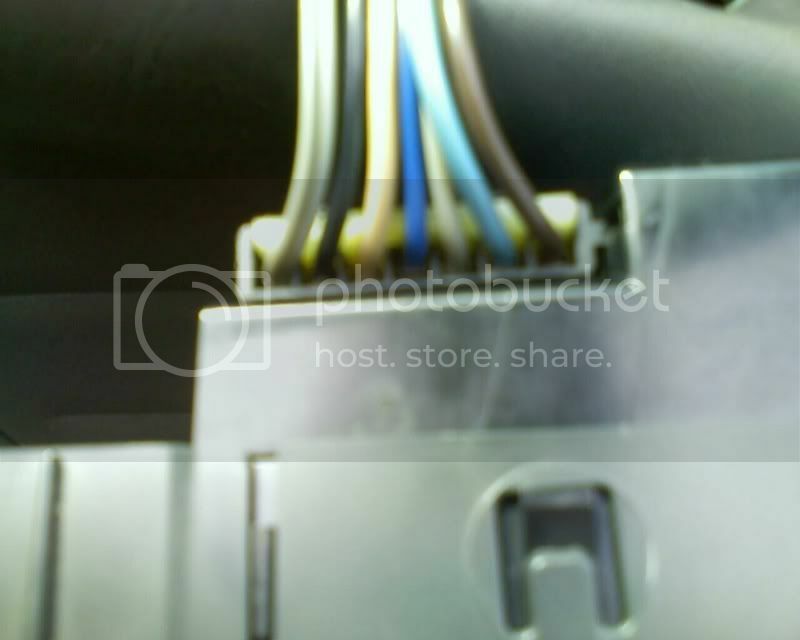 wires at the plug to see if the window motor runs? If the window motor runs, then it’s the switch. If the window motor doesn’t run, it’s likely the motor. That’s what I’m going to do as soon as it stops raining! Unfortunately no garage or car port. > wires at the plug to see if the window motor runs? > If the window motor runs, then it’s the switch. > If the window motor doesn’t run, it’s likely the motor. raise and lower by jumper. So I guess it’s the motor..? > > were for diagnosing the switch. Am I wrong? > raise and lower by jumper. > So I guess it’s the motor..? > > > were for diagnosing the switch. Am I wrong? > > wires at the plug to see if the window motor runs? > > If the window motor runs, then it’s the switch. switch to the motor in the driver’s door is the culprit. There’s a .
you sure power and ground was available at the jumper points?